This book investigates the issues raised by the vast array of accounting standards and technical rules which have marked the recent history of accounting. 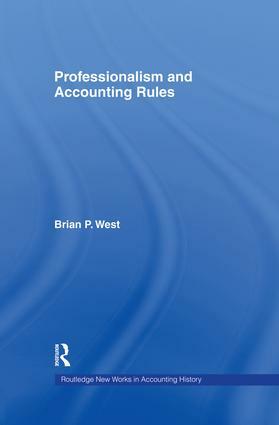 It is argued that the accounting profession is beset by an inferior and incomplete notion of quality in its work which emphasises compliance with processing rules, rather than the correspondence with commercial phenomena necessary to make financial statements reliable guides for human activity. Brian P. West is a senior lecturer in Acccounting at the University of Ballarat, Victoria, Australia. Prior to commencing his academic career he worked in the audit division of an international accounting firm. Dr. West is the author of several articles published in professional and academic journals.